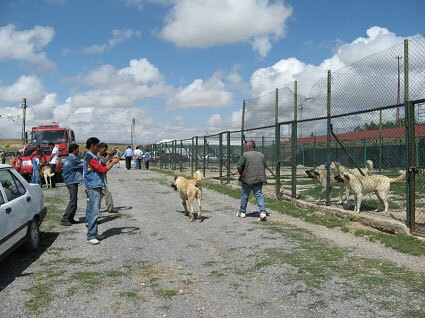 To protect and conserve the genetic purity of the Kangal Dog, the government of Turkey has established several state-sponsored breeding centers. Turkish government considers Kangal Dog a part of Turkey’s national heritage, hence it is illegal to export Turkish Kangals to non-Turkish owners. 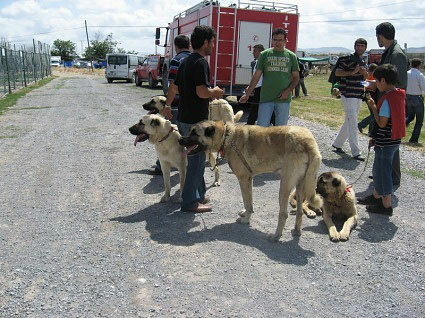 The Turks began to monitor Kangal dogs ‘development, keep their health records, document pedigrees, and issue certificates of origin to genuine Kangal Dog owners. In its home district of Kangal, in Sivas province of Turkey, the Kangal Dog is still primarily used as a livestock guardian. But, as the sheep industry continues to decline in eastern Turkey, purebred Kangals of the classic type are becoming increasingly prized. Many animals are brought from the villages to compete during the annual Kangal Festival. Kangal festival takes place every year in the town of Sivas. All of the dogs taking part in the festival are working dogs, not “show” dogs and the handlers are the owners of the dogs. Kangal dogs are brought from all over the county to compete in this event. There are many categories and dogs of all ages are included, from 8 week old adult dogs. The festival takes place outside in the heat. This has been criticized over the years because some of the dogs were not properly sheltered and protected from the heat, and there have been known deaths. Dogs have died from overheating and dehydration. 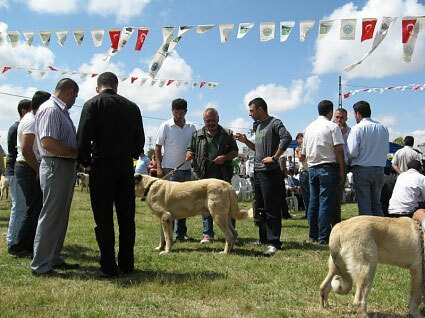 But the dogs that win at this festival become well know all over Turkey. Breeding to the winners or obtaining pups out of the top dogs is very expensive. Why does seem that kangals are smaller and weaker looking in North America?